Weight reduction by senior citizens can be achieved by eating nuts. That’s right, two recent studies show that replacing red meat, processed meat, French fries, and soda in your diet with nuts, will keep your weight down. This indeed, is great news for seniors. Two new studies suggest that a small daily serving of nuts stabilizes metabolism and keeps off extra weight as we age. Indeed, contrary to popular perception, nuts are packed with unsaturated fatty acids, fiber, and protein, which contribute to good health. Now comes additional evidence that nuts promote weight loss. The results of two studies were reported. In the first study, the long term effects of nuts on body weight of seniors was examined. The second study examined the effects of Brazil nuts on blood sugar, insulin response, and satiety. Nuts have been shown to contain high amounts of unsaturated fatty acids, fiber, and protein, which may all contribute to good health. The researchers discovered that replacing foods of less nutritional value, such as fries, sugary soda, and processed meat with a 1-ounce serving of nuts lowered the risk of weight gain and obesity. Participants were examined over 4-year follow-up intervals. 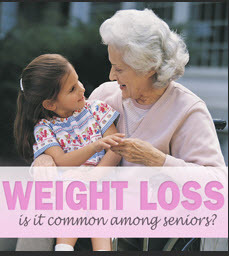 These results are significant as seniors tend to gain weight due a slower metabolism. And, people shy away from eating nuts as healthy snacks as they associate them with weight gain and poor nutrition. In fact, adults and seniors gradually gain about 1 pound a year of weight. Over a period of 20 years, that is a significant weight gain. Therefore, adding 1 ounce of nuts daily to your diet in place of less healthy foods can slow weight gain and reduce the risk of heart disease and other chronic illnesses.